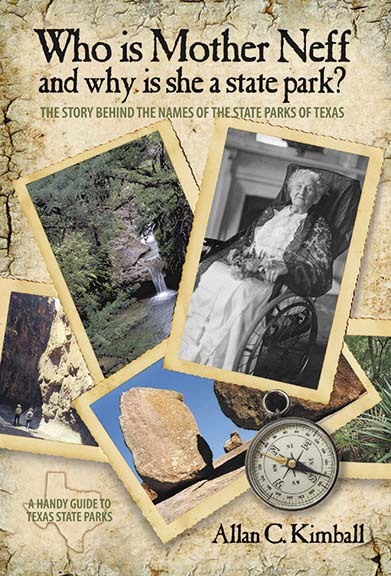 Since 1923, from when the Texas state park system began, no one set of records was pooled together to show all the parks namesakes from biographical data; that is, until Allan C. Kimball wrote "Who Is Mother Neff and Why is She a State Park?" In "Who is Mother Neff and Why is She a State Park?" it is easy to feel the abundance of appreciation for the preservation of heritage and respect for the usefulness of each park author Allan C. Kimball has for each square foot of the more than 500,000 acres presented within the Texas State Parks. Opening our eyes to the impact that those of today will have on those of tomorrow is what Kimball craftily encompasses with the ensemble of research shown in this book. Kimball shows how many lives have impacted the names of the Texas state parks and how those parks are remembered today; by their names. Readers learn how nearby geography, people's names, and roots of words from many native languages came together as the namesakes of each park.